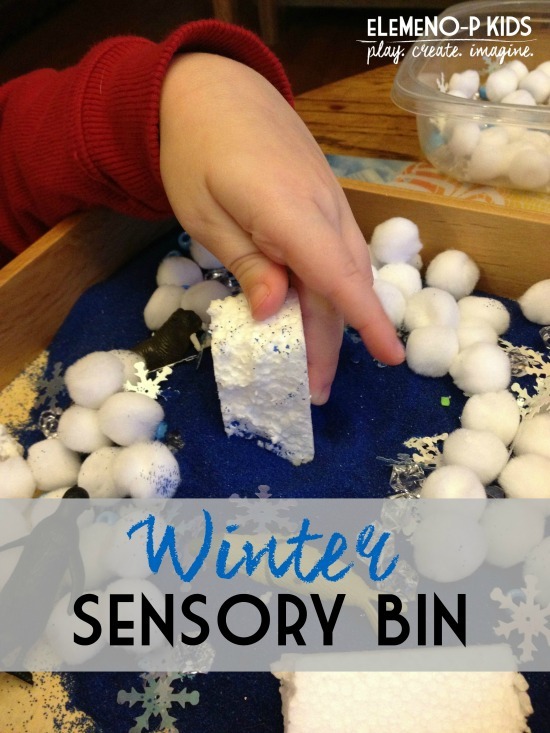 We are big fans of sensory play in our house, and since Winter is upon most of us, it’s only appropriate that we put together a Winter Sensory Bin. 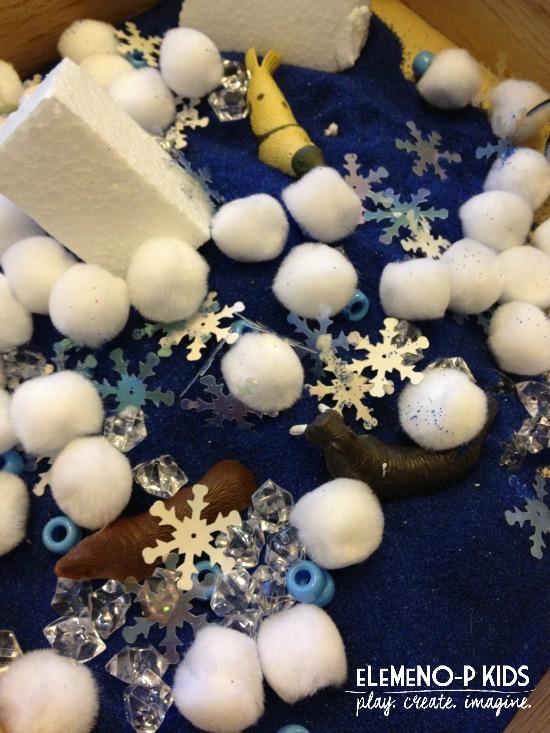 This DIY guide will show you just how easy and inexpensive it can be to put together your own Winter Wonderland sensory bin. Sensory play is important for developing the senses: touch, hearing, sight, sometimes smell (think: flowers, dirt, or coffee grounds). These small bins enhance and engage the cognitive part of the child’s brain by providing an open-ended, creative, imaginative experience through play. Sensory play also supports fine motor skills, language development, and social development. However, sensory bins do not have to be elaborate, or even expensive, and most of the items are regular household items that you probably have in your pantry or cabinets. 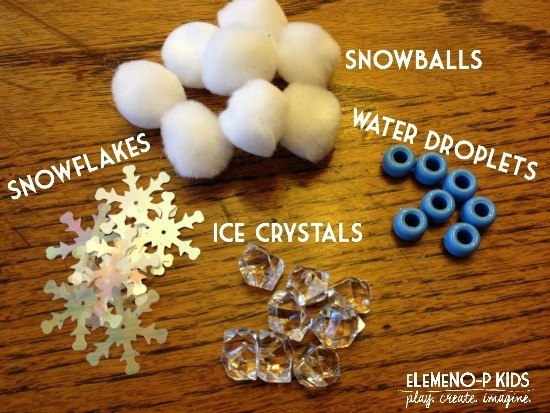 Think cotton balls, pipe cleaners, rice, oatmeal, cornmeal, flour, wooden blocks, and more! Here’s a very inexpensive sensory bin I put together for my 7 year old. Since we have been having a lot of cold days and stuck indoors, a sensory bin is the perfect way to provide an open invitation to play. 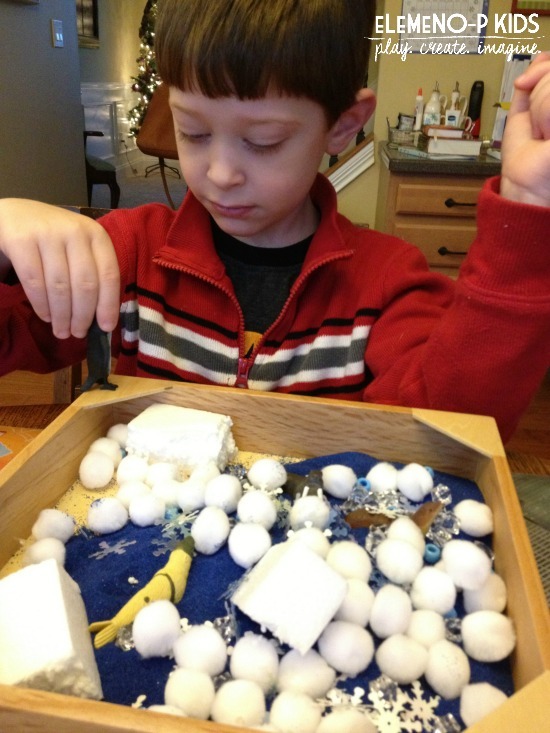 We thought a Winter Sensory Bin would be the perfect way to have the cold inside of our warm house. Bin, Tupperware Bowls, or Small Sandbox. We purchased one of these My Little Sandboxes a year ago and ever since then we’ve changed the theme millions of times. 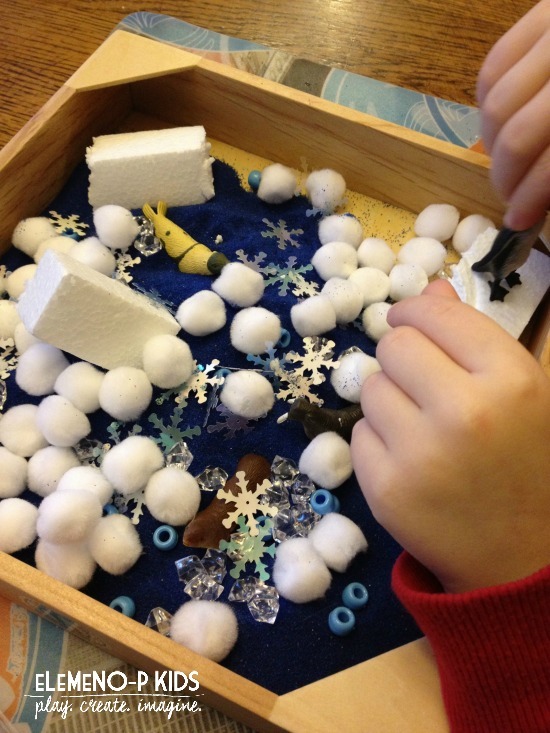 The little sandboxes are the perfect size to create a sensory bin and don’t take too many materials to fill up. Arctic Toob or Penguin Toob or any other small arctic animals. 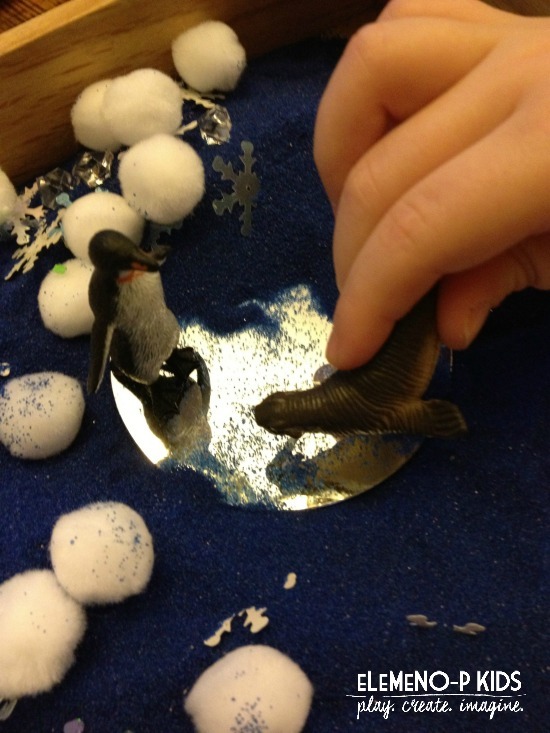 Blue Sand (If you want to create an arctic sensory bin). Otherwise, skip this step and just use the other items to create a winter-y bin. I found a plastic mirror to stick under the sand to mimic a sheet of ice.